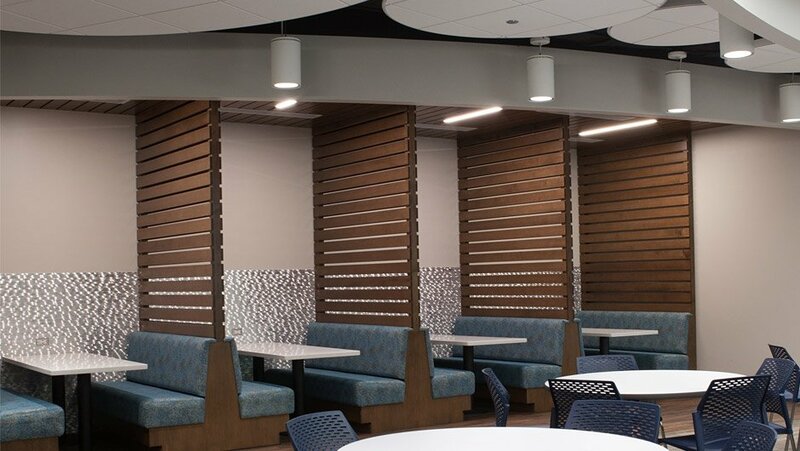 As businesses face stiff competition for top-notch talent, many are succeeding by offering onsite amenities attractive to today’s demanding millennial workforce. 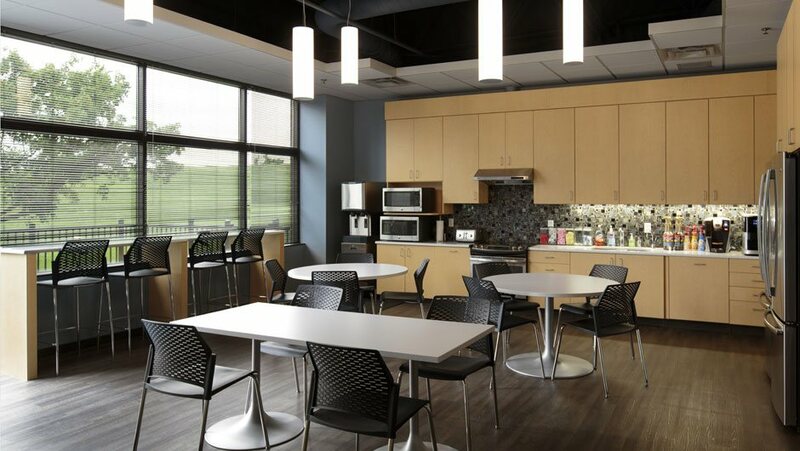 A perfect example is the onsite café, where employees can relax and recharge in a hip and eclectic – i.e. 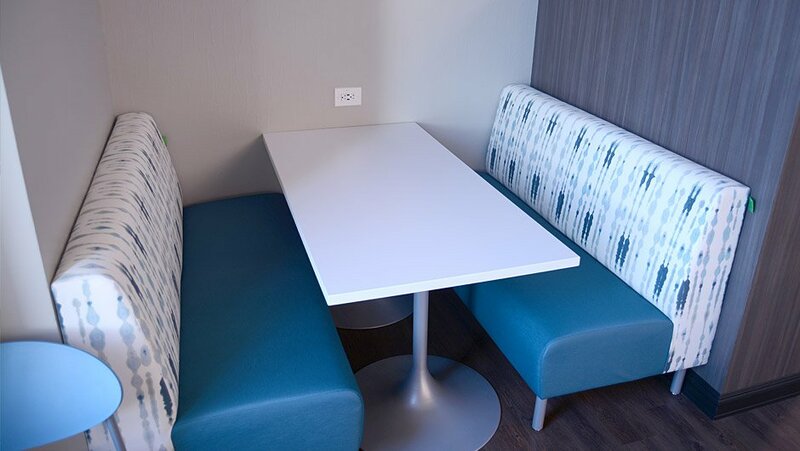 “non-corporate” – environment just steps away from their workstation. 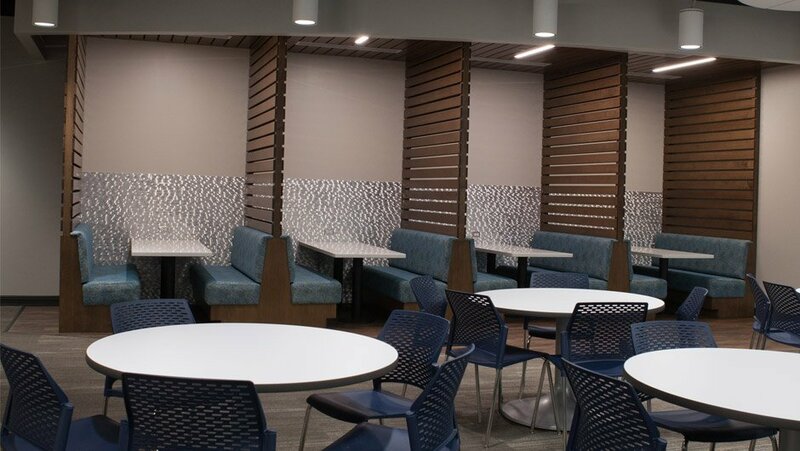 At QGC, our designers can help you reimagine your break area or lounge and transform it into a unique destination where your employees can socialize, collaborate, and create. 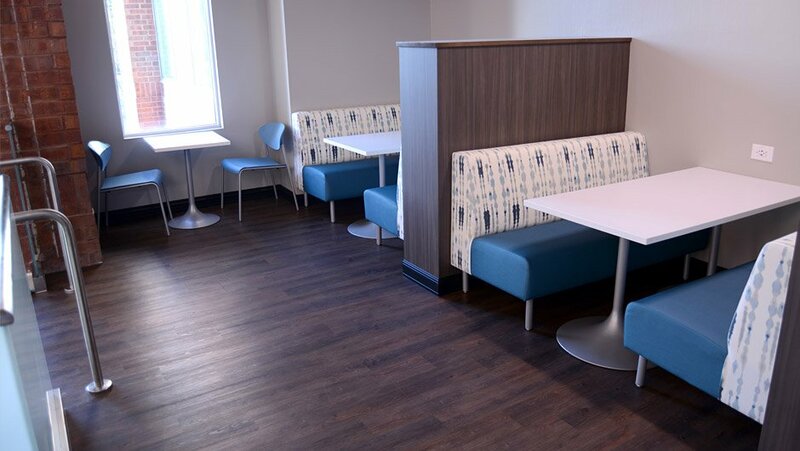 We source furniture and furnishings from hundreds of manufacturers, ensuring that your intimate coffee nook or your bright, open lounge has just the right look and feel. You provide the barista and we’ll do the rest.